BBC Radio 4 - You and Yours, Call You and Yours: In your experience, does gaming undermine academic achievement? Call You and Yours: In your experience, does gaming undermine academic achievement? The programme asks listeners if, in their experience, playing video games undermines academic achievement. Presented by Winifred Robinson. Call You and Yours: Does playing video games undermine academic achievement? 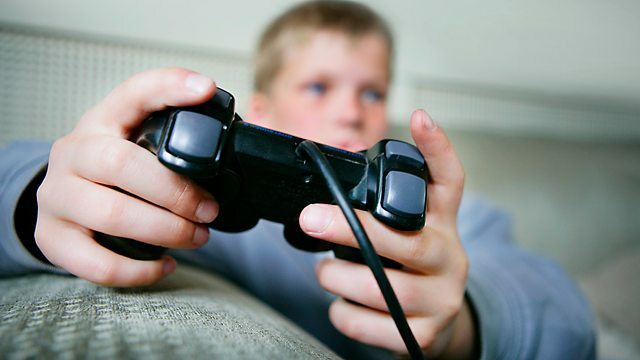 A study suggests children who play video games twice a day are less likely to achieve five good GCSE grades. The National Children's Bureau Northern Ireland research involved more than 600 14 to 16-year-olds from 2012-14. It found 41% of children who used portable gaming devices at least twice a day achieved at least five GCSE A* to C grades, compared with 77% of those who used them less than once a week. The research does not establish why this might be the case. You and Yours wants to hear your experience. Has frequent gaming led to fewer high grades in your household? Or do you believe the video games make no difference at all? Perhaps those who played regularly had other disadvantages? Please include a phone number, so that a researcher can ring you back.